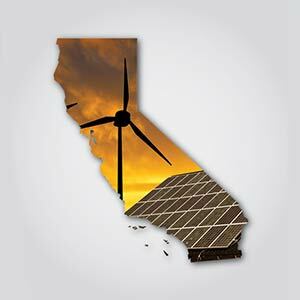 A bill before the California state legislature is putting the Golden State’s clean energy future within reach. AB 813 sets up a zero-carbon energy trading platform with neighboring states to ensure California has all the energy it needs — and doesn’t waste any. In 2017 alone, California turned off enough solar energy to power over 52,000 homes for a year. The Golden State has more solar energy than it needs during the sun-soaked middle of the day, but not enough during the dimmer hours when California instead often relies on natural gas. AB 813 would enable neighboring states like Oregon, Washington, and Nevada to buy that extra solar energy easily and quickly — and share their extra hydropower and wind. Add your name to the chorus of Californians calling for action to support AB 813! I am writing today to ask you to strongly support AB 813, which gives California the resources it needs to reach 100 percent zero-carbon energy by creating a trading platform to share California's extra solar power with nearby states like Oregon, Washington, and Nevada, which would then share their extra wind, solar, and hydropower resources with California. In 2017 alone, California curtailed 345,524 megawatt hours of solar energy -- enough to power over 52,000 homes for a year. That's an incredible waste of resources. But in the dimmer hours of the day, California relies on "ramping resources." AB 813 would instead allow us access to our neighboring state's hydropower and wind resources, diversifying our options and better ensuring energy security while lowering pollution endangering our health and climate. This legislation will pave the way to California's clean energy future and help the state meet its climate goals. Please ensure it passes with broad support.